A year ago we bought our foster son a really nice 3G mobile phone and three months later he didn’t know where it was. That was the end of that. We had the distinct feeling that our foster son didn’t value that gift so he didn’t take care of it and it didn’t hurt when he lost it. It’s a fact that we care much more about the things we value, and what we value has usually cost us something. The same applies in ministry – we would make all kinds of sacrifices to ensure that the goals we are passionate about are achieved. The vision that you’ve embarked on will cost you. But you won’t mind paying the cost because you’ve taken ownership of it. It’s now something you value. The UK is gearing up to host the 2012 Olympics and soon London will be teeming with athletes from all over the world who are all hoping to achieve the prize. These athletes have been training for years, and for them it’s meant strict discipline, sacrifice, blood, sweat and tears - they’re totally committed to the cause. For these ‘would be’ champions, the maxim “no pain no gain” is a fact of life. They understand that you ‘grow’ when you constantly step outside your comfort zone - it’s there that you experience discomfort and pain. However, this pain serves to purposefully extend your capacity, build those muscles and stamina which are essential for achieving the prize. These same principles are true of ministry and vision. If there’s no stretching, no pain, no stepping out of the zone we’re familiar with, there will be no growing or achieving the vision we pursue. When we’re experiencing any of these things, we’re reaching for something that is beyond ourselves - we are trying to improve. We are able to endure the pain, to make the sacrifice, accept the discipline because . . . If members experience these things they will be more likely to experience growth and the achievement of the vision. Most people are scared of the new, unknown and unfamiliar. They prefer to stay in that womb of comfort. When the going gets tough; when the effort gets painful, when the work gets hard, they always pull back into safety. But the extraordinary people do the opposite. They know they have to get out of the comfort zone and into new territory or they’ll stagnate and die. Suppose one of you wants to build a tower. Will he not first sit down and estimate the cost to see if he has enough money to complete it? For if he lays the foundation and is not able to finish it, everyone who sees it will ridicule him, saying, 'This fellow began to build and was not able to finish’. Do you not know that in a race all the runners run, but only one gets the prize? Run in such a way as to get the prize. Everyone who competes in the games goes into strict training. 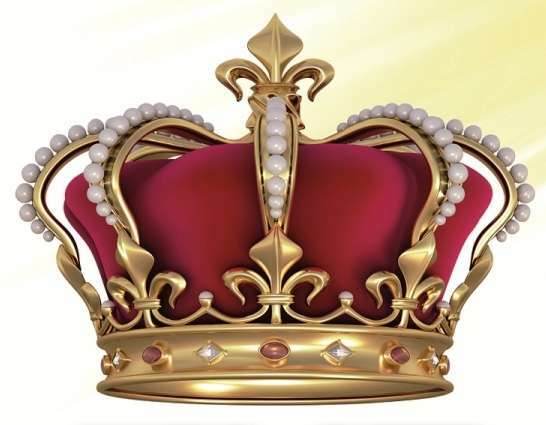 They do it to get a crown that will not last; but we do it to get a crown that will last for ever. …I count my life of no value to myself, if only I may complete the course marked out for me, and the task that was allotted me by the [Master Yahshua] – which was to declare the Good News of the Love of [Yahweh]. Thank you Father Yahweh for caring enough to give us a glimpse of the purpose You have for us now. What You have in mind is bigger than us; it requires us to stretch and go beyond what we’ve done and known. However, we thank You for the encouragement of Your Spirit, and, with that, we’re determined to follow through. Father help us, as leaders, to be willing and ready to encourage our members not only to take ownership of the vision but also to guide them in the process of growing into the vision. We understand it will cost and there will be discomfort and pain along the way - but we are assured of Your support every step of the journey because we’re moving forward in obedience to Your Spirit. Help us to see and experience real change and growth.